The goal of every attorney is to keep their client out of costly and time-consuming litigation. Fortunately, most legal disputes can be resolved without the need for – and expense of—litigation. There are times, however, when litigation cannot be avoided. If you find yourself involved in a dispute that may be headed for litigation involving the probate of an estate, the administration of a trust, or a commercial law matter, it is in your best interest to retain the services of a Commercial, Probate, and Trust Litigation attorney. Why Is It Important to Retain a Commercial, Probate, and Trust Litigation Attorney? 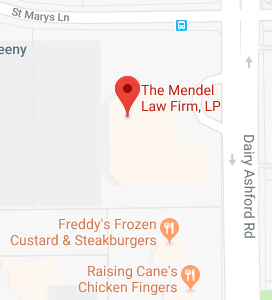 If you foresee the potential need to litigate a commercial law, probate or trust matter, you should highly consider consulting with the Commercial, Probate, and Trust Litigation attorneys at The Mendel Law Firm, L.P.. Contact the team today by calling 281-759-3213 or fill out our online contact form.